We all love our pet dogs but there sometimes very good reasons to decide to transition your inside dog to outside. It could be an issue with chewing furniture, being too hyper or perhaps you are expecting a new baby, and it is time for your Fido to relocate. We will examine the safest methods to ensure a happy way to turn your pet from an indoor dog to outdoor. Transitioning an inside dog to the outside is a step by step process which can be relatively easy if the correct methods are used. Training and providing activities for your dog are key to making this a painless change for everyone involved. If turning your pet from an indoor dog to outdoor is a necessary step to take, we will explain to you the best way. Please keep reading and we will discuss the best step by step methods to ensure your dog will happily adjust to his new living arrangements. We will discuss issues that may arise, how to deal with them, and how to overcome “first night nerves” in the best possible way. There is no reason for you to be concerned as long as you follow the steps we recommend. Will My Dog Become Depressed By This Change? Am I Being Unfair To My Dog? How do I train my puppy to be an outside dog? Can I easily turn an outside dog to an inside dog? Is it cruel to keep a dog outside? Firstly, do not worry! Your beloved pet will likely be just fine outside, and it is just a question of getting him used to his new living arrangement. He will soon adjust and be just as happy outside as he was inside! It is important to make sure your pet is hardy enough to deal with the outside, so make sure a tiny or older dog is up to it! Always check that he is comfortable and happy. If the temperature drops, you should consider bringing your dog inside or perhaps finding a warm place somewhere like your garage. The next step will be getting your pedigree pal, ready for the change. If he is used to sleeping on your bed, a direct move outside may be too quick. Consider a process of moving from bed to floor to the sitting room to ease his transition to being an outdoor dog. Make the environment outside safe, make sure he is fenced in and protected from predators. There are some great quality dog houses on the market which you should consider as it will allow him to have his “own place” and feel secure. He will also be insulated from sudden changes in the weather. If your dog has a particular environment inside, you should recreate that outside. For example, he may have blankets or pillows and favorite chew toys, which you should provide, in his new sleeping area. This familiar comfort will enable him to easily adjust to his new surroundings. Most importantly, make sure you make your dog feel appreciated and loved. Play with him, take him for walks and have regular interaction to make sure he understands it is a change in circumstances and not a punishment that has led to his move. This is just the start of a fun new adventure for Fido! As long as you help your dog adjust properly, there is no reason to think your dog will become depressed by you moving him outside. Dogs are intelligent, adaptable animals and with enough mental stimulation and things to play with, he will make the change without issue. Major changes. A new baby or spouse or just moving to a new house can make your dog feel insecure and lead to depression. Lack of attention. If your pattern of spending time with your dog changes, perhaps due to a new job, your dog will realize and possibly get depressed. Sympathy. If you have suffered a loss and feel sad, your dog will sense it and feel it also. Circumstances change and you may feel moving your dog outside is the only reasonable solution. He can adjust and be just as happy outside. You are not being unfair, just make sure he is comfortable and gets a lot of love and attention. Make sure to address any issues that arise. Keep an eye out that your dog has enough to do to occupy himself. As long as the correct steps are followed, your dog will remain happy. 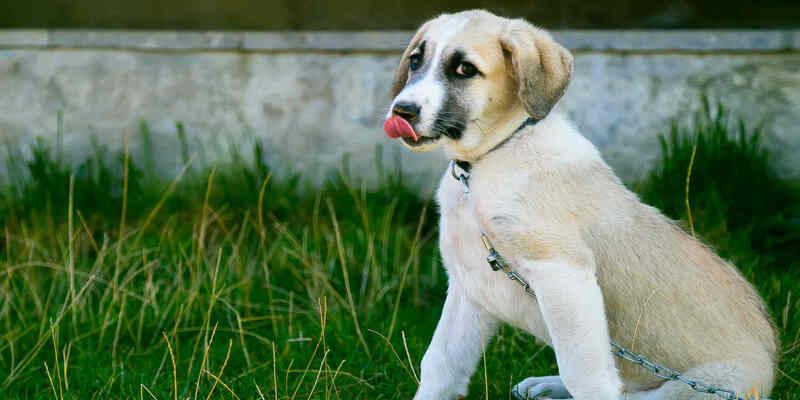 Since you made your mind to push your pup outdoors, you’ll need to make sure his immune system is top notch. Keeping your dog in good health does not have to be difficult. Here are five things you can do today to keep your indoor dog healthy when transitioning outside. There is a huge variety of dog food available today. So much that it can be a challenge to decide what to feed your dog. However, the important thing to understand is that not all dog foods are made from healthy ingredients. Yes, they may pass the minimum government standards, but that does not guarantee that it is the healthiest food for your pet. You can choose healthier foods for your dog by taking the time to do some research and learning how to read dog food labels. Try to find food that contains more meat than fillers. Most of the high quality dog foods contain much less corn and other cereal products. It is not necessary to go completely grain free, but you should look for foods that contain meat sources such as chicken, chicken meal, lamb, lamb meal etc. Try to look for food containing natural preservatives such as Vitamin E, Vitamin C, citric acid, and rosemary. These natural preservatives contain antioxidant properties that are healthier for your dog. The reason I say this is because the word is still out on ethoxyquin. Ethoxyquin is a quinoline-based antioxidant used as a food preservative and a pesticide (under commercial names such as “Stop-Scald”). It is commonly used as a preservative in pet foods to prevent the rancidification of fats. Many people believe that it can be harmful to your dog, while others argue that it is only harmful in larger amounts. However, I prefer to be safe than sorry. So personally, I suggest you try to find food that do not use it as a preservative. I know that saying a dog needs plenty of fresh water is stating the obvious. However, to go one step further, if you want to remove as many toxins as you can from your dog’s water, consider using a water filter. Unfiltered tap water can contain traces of unhealthy chemicals that can be harmful to both you and your dog. A water filter or water purifier will help to remove toxins from the tap water and make the water healthier for both you and your dog. At home, I use one of those water filters (amazon link) that attach to the faucet. I then fill Misha’s water from there. It doesn’t matter your dog is now living outdoor, it is still very important that you provide your dog with sufficient exercise, after all, look at this statistic: according to the Association of Pet Obesity Prevention (APOP) 56% of our nation’s dogs and cats are overweight or obese. This is usually because we overfeed our dogs, give them just a little too many treats, and in some cases, too much table scraps. Of course, not giving them enough exercise will cause them to be overweight as well. So, just take your dog out for a daily walk. If you can, add in a weekly run or jog and your dog’s health will improve even more. Another positive side effect is that you will get healthier as well. Finding a good vet and taking your dog for regular checkups and routine shots is important for your dog’s long term health. So you made an inside dog an outidside dog, but keep in mind that spending time with your dog is what makes the difference between owning a dog and having a pet; between owning a pet and having another member of your family. Sure, all the things I mentioned above are really important, but they are meaningless without the bond that exists between dog and owner. Enjoying your time together can do more than just keep your dog healthy. Time and again it has been shown that dogs can be beneficial to our health as well, no matter if your dog is living outdoor or indoor. The benefits are mutual. Think about it, just petting your dog can have a positive effect on the way she feels and acts. Typically dogs love to be with their owners for the interaction, playing, petting etc., so it is a good idea to start training them to be used to the outside while still a puppy. Training and feeding them should take place outside and provide many activities, toys and a place to sleep. This will allow your puppy to get comfortable as an outside dog. This is not a simple process especially with older dogs; it will take patience and a lot of understanding. Even an untrained dog can be taught and he may amaze you with his ability to learn. Start by bringing him inside for a few hours and teach him what is or is not allowed. Prepare for mishaps, but over time he will learn and can become a good inside dog. As long as your dog is provided plenty of food and water, adequate shade and somewhere decent to sleep (a proper kennel is ideal), it is not cruel to keep your dog outside. Of course, he will need to be played with, and given plenty of attention, and he should be given a warm place to sleep during cold weather and then he will be back absolutely fine!